Use this Macy’s Friends and Family coupon to save 25% off your entire purchase in stores or online through December 5th! Enter your name and get an Old Navy printable coupon for $15/$75 or more. This OshKosh B’Gosh printable coupon will save you 20%/$40 or more on in-store purchases! Shop in the Children’s department at JCPenney stores with this coupon and you’ll save up to 15% or 20% off your purchase! Share this BabyGap deal and you’ll get a coupon to save 50% on a single item at BabyGap or GapKids! Don’t forget, now through 12/31/11, buy 6 jumbo packs of Luvs, Pampers, Huggies or CVS Supreme Diapers and you’ll get a coupon for a free jumbo pack of diapers! You can do this deal as many times as you’d like though the end of the year. Jumbo packs of Pampers on sale for $9.50 ea. Tubs of Pampers Wipes on sale for 42.49 ea. Tubs of Gerber Good Start Baby Formula for $21.99 ea. Jumbo packs of Pampers Diapers, Training Pants and Overnights are $9.99 ea. Jumbo packs of Pampers are 2/$20 this week. Big packs of Walgreens Premium diapers are $16.99 ea. Select Similac and Enfamil Powder Formula tubs are $22.99 with in-ad coupon. Buy 2 big packs of Pampers or Huggies Diapers or Training Pants for $19.79 ea. and get a $10 Target gift card for FREE at checkout! Buy 2 Enfamil Premium 30-oz. Refill System OR Enfamil Gentlease 33.2 oz Powder Refill System for $34.49 and receive a FREE $10 Target card at checkout. Prada eliminated their presale policy a few seasons ago but that doesn’t mean that it’s impossible to get top pick ahead of sale season. We’ve been told that the official sale will begin December 1 but… but… you can let a sales person know if there’s something you really want. The markdown sheets had not been released at the time we received our top-secret information but rumors we suspect that the discount on shoes and clothing will be 40%. We feel confident betting that bi-color Mary-Jane boots will be included in the markdown along with more traditional boots and booties. We believe that the braded style bags will be part of the discount merchandise but don’t count on much else. As a matter of fact, we were told the prices were increased on most of the classic Prada handbag selection. For example, the Saffiano Lux tote was $1560 but is now $1630. That’s $130 difference or about 10%, which would have normally covered the tax. Rodarte Sample Sale Now OPEN! The Rodarte sample sale was scheduled to start tomorrow at the Ace Hotel, but we got word that it was already open and will remain so til 7pm tonight. According to Bushra, “the deal was pretty great and most items were priced between $50~$180”. She advises that Rodarte fans go tonight before the best pieces are snagged before tomorrow’s opening. Every year, cosmetics experts come together at the Metropolitan Pavilion in Chelsea for The Makeup Show, an industry-wide exhibit filled with product launches and workshops. And every year, we wish it was open to the public—after all, you don’t need a cosmetology license to enjoy playing with makeup. Well, this year our secret, fervid, highly pigmented hopes have come true. For its seventh annual New York appearance, The Makeup Show will be hosting a pop-up shop open to both consumers and pros. Running this Friday and Saturday, the pop-up will carry brands like Stila, OCC Makeup, and Kevyn Aucoin at prices usually reserved for insiders. Pick up tickets for $20 a person on their website, and while you’re at the show, keep an eye out for appearances by celebrity makeup artists like Joanna Schlip, James Vincent, and Orlando Santiago. Find great sales at these children stores. All winter items in Manhattan East Village children’s shop will be reduced by 20% from December 26 through January 8. Receive an extra 10% off your purchase when you enter Tonywinter30 online valid December 26 through January 8. 244 E. 13th St. between second and third Avenue. 212-260-4960. Jellyfishnyc.com. Through December 24 all fall and winter merchandise at this popular outfitter will be marked down by up to 65% off the original retail price, both in store and on the company’s new website. Buy seven gifts and you’ll get the eighth for free merchandise exclusions and restrictions may apply. 1534 2nd Ave. at 80 street. 212-734-9292, lesters.com. 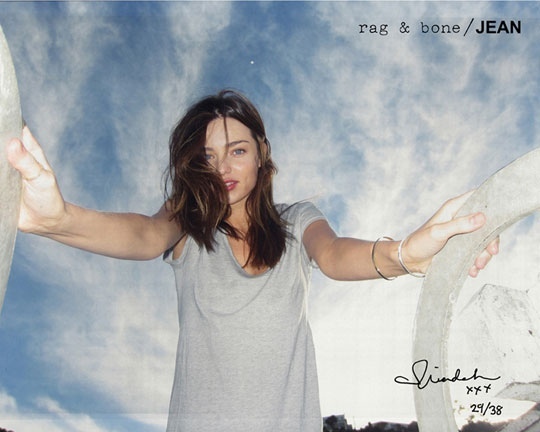 Rag & Bone will be joining the already long list of sample sales starting on December 1st. To refresh your memory, there’s going to be the Phillip Lim sample sale, Rodarte sample sale, and Lena Erziak sample sale all ready to kick off the first day of December with a bang. Heres a deal for holiday shoppers. 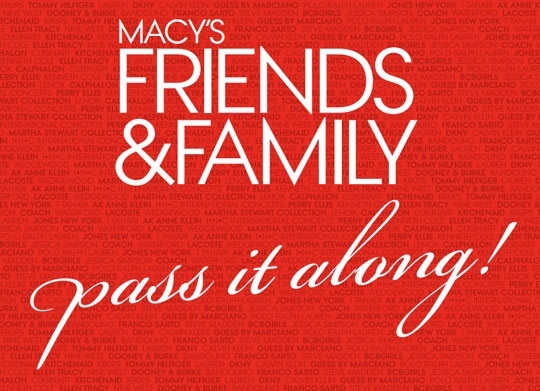 Starting today, November 29th through Monday, December 5th, Macy’s is having a Friends & Family promotion. Save 25% off on almost everything in the store (cosmetics are not included in the promotion). Use online code: MACYSFF at checkout. If you give your kids craisins to eat, you should read this article about recalls on them. Disney PJ Pals Just $6 Shipped! Log in or Register with ShopAtHome.com. Click Buy Now on the Wild Deal. Purchase the Disney PJ Pals of your choice. Use coupon code CYBER to receive FREE shipping (and also 10% off if your order totals $50+). Pay $8 (shipping included) plus applicable sales tax and get back $2 in your ShopAtHome.com Account! New to ShopAtHome? New members will receive a $5 credit when you register and make a qualifying purchase within 30 days — which means you could get this offer as low as $2.37!